Pearl Jewelry has never been at the level that is now. Wedding party favors Green pearls with sparkling silver rhinestones rings spacer necklace with surgical post earrings. The spacer sparkle like diamond more beautiful choices than ever before from all parts of the world. 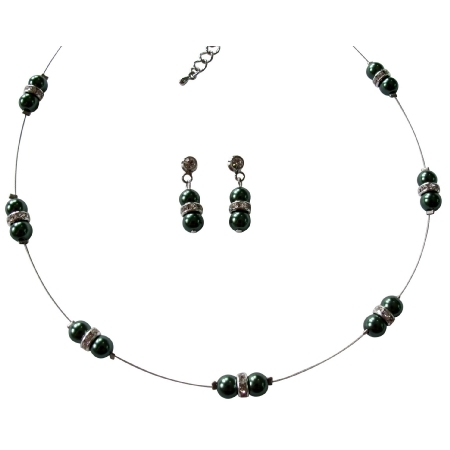 Material : 8mm Green pearls adorned in illusion wire with rhinestones rings spacer with surgical post earrings.